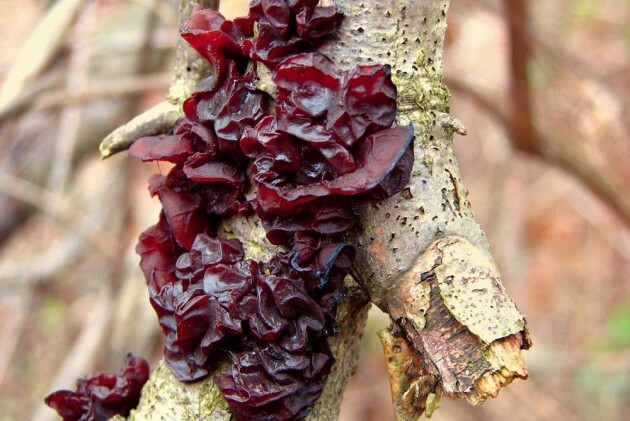 One of the lesser known ing­­r­edients of a ‘hot and sour soup’ is wood ear—a jelly fungus dark brown in col­our that blackens with age and is native to China. The gill-less mushroom is shaped like a human ear and can be anywhere between two to eight inches long. It is a source of iron and protein, and is high on fibre. Wood ear is delightfully crunchy, with only a mild flavour, and is often used for its ability to add texture to soups and stir-fries. In a ‘hot and sour soup’, cloud ear is usually cut into thin strips and added in the final step of cooking the broth. The Chinese call their magic ingredient ‘Hie mu-er’. They consider the mushroom not only for its edible properties but also its medicinal value, and add it to dishes to improve breathing, circulation and well-being. First grown around 600 AD, wood ear is said to be the first recorded cultivated mushroom. Most Asian countries now farm the mushroom that grows wild on rotting and decaying wood.